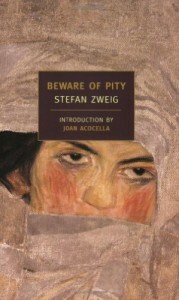 ‘Beware of Pity’ by Stefan Zweig is a psychological depiction of Lieutenant Anton Hofmiller . The only mistake he does is when he asks Edith Kekesfalva, a crippled girl for a dance ‘Unknowingly’. This actually turns into a major blunder and ruins his and the girl’s entire life. Well, on the other hand he could have just forgotten the whole thing as mere oversight but he makes sure not to and lets it grow. He keeps going back to her in one way or the other and he keeps repeating himself, it’s just out of pity. It’s a pity that Hofmiller felt only sympathy for Edith and not love. When a man comes to spend time with a woman once in a while that can be considered as pity but when he visiting her becomes a regular affair it doesn’t stay just that but turns to something more, may be compassion or love. But Hofmiller was not ready to accept this fact, he kept suppressing his feelings because he was narrow-minded, he could not accept the fact that he could love a crippled woman. He was afraid that people would laugh at him. If only he didn’t care for the society, if only he was capable of loving Edith like she did but he forces himself not to. Stefan Zweig has a way with words I mean a bizarre way! Even if the readers want to read this book as just another novel they cannot he makes the whole thing grow on them. 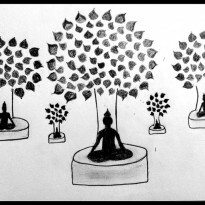 He repeats the phrases again and again to have an effect on them so that the readers become helpless hence yield to his words and gets involved with the book. So, yes! This book had a strange effect on me too. While reading it made me edgy, restless also at some point i felt emotionally drained and i just had to stop reading it, to bring myself back to normal. And I love it when mere words overpower me. So I surrender to Mr Zweig, his words and now I am his greatest fan and will be reading all his books.